Here is a character who I have a great deal of love for. 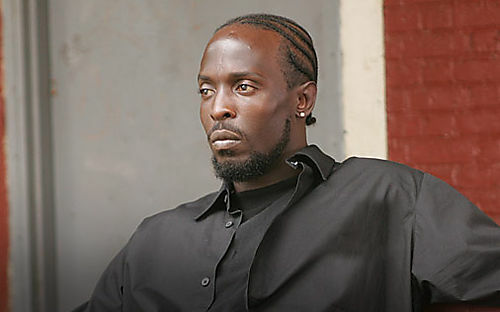 Omar Little is not only my favorite character in The Wire, he is also my favorite anti-hero. He is a character who is known as a modern interpretation of the wild west cowboy. He is a gangland version of Spike Spiegel. He is a character who does what he wants, how he wants, and he is not only a brilliantly written character, but he is a character who all of us can remember. The Wire is one of my favorite shows. It was so brilliantly written. Each character was compelling, even those that I didn’t like all that much. They were all perfectly written, in fact. While it isn’t my favorite show, I genuinely believe that The Wire was a perfectly done show, in every single way. In my mind, it will be the crowning achievement of HBO. 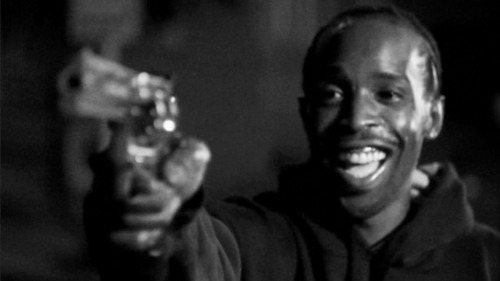 Omar Little, portrayed brilliantly by Michael K. Williams, is the character who we all wish we could be. He is able to rise above the rigged system, to live his own life, and through his journey, we are able to see a life that we wish we could live. He is openly gay. It is told that when he was in prison, he had a large number of inmates who he was intimate with, implying that he was either very feared, or very respected among the prison culture. When he kills and inmate by stabbing him in the crotch, it is implied that it is fear that keeps the other inmates away from him. Though he also acknowledges that prison is not an environment that is the safest for him. Out on the street, Omar’s occupation is to rob drug dealers. He will jack a drug dealer’s stash, and will the subsequently sell said drugs. He walks the town in a trench coat and with a shotgun. He does not like to be out of his home without a weapon. He has been robbing drug dealers for over nine years, when asked about it in the second season. It is unclear how long he has been at the profession. There have been statements that Omar lives like a traveler in the Wild West. He lives by the way of the gun. He is not above killing or hurting people to get what he wants, but thanks to his rigid moral code, he does not hurt those outside of the drug game. Don’t get me wrong, I’ve done my share of dirt, but I ain’t never put my gun to anybody who wasn’t in the game. There is a very large element of realism to Omar’s character. He realizes that the system is rigged, and so he chooses to operate outside of it. He chooses to stand alone, and live by his own rules. As such, he is often very alone in the confines of society as we understand it. There are scenes of dialogue where you can tell that this life and the loneliness get to him. While he tries to live by a code, he is well-aware of the fact that he does dirty deeds. He is able to justify it by saying that he is just in the game. To do his profession, Omar has to employ a lot of talents. By far the biggest is his keen eye. He will scout out a location, sometimes for days, making sure he knows everything about it before he will make his strike. His keen eyes miss nothing. He talks often about how one must do difficult jobs, so as to keep their sense sharpened, their wits too. That is the second weapon that he employs. He has a gift at being able to understand the minds of those he robs from. The mind of the drug dealer is a landscape that he knows well, and is thus able to anticipate what they will do. It comes in handy to no end. One thing about Omar is that he is well-aware of the reputation that he has. He walks down the street, and people shout his name. “Omar’s comin’!” is something that you hear whenever he walks. They get especially jumpy when he employs the coat with the shotgun hanging from his shoulder. His fame and presence are one thing he banks on. But while he does utilize his street presence, he is also a big fan of stealth, of staying out of sight, and getting close. He likes to get to know his target, especially when he has a vested interest in them. Seeing him in the shadows, watching and smoking a cigarette is one of the powerful moments, because you can see in his eyes that the gears in his head are working. Another cool detail about him is that he is able to get out of a jam quick. He can scope out an exit fast. His ability to hide aids him immeasurably against the drug leaders who are constantly hunting him. Avon Barksdale turns Baltimore inside-out looking for him. 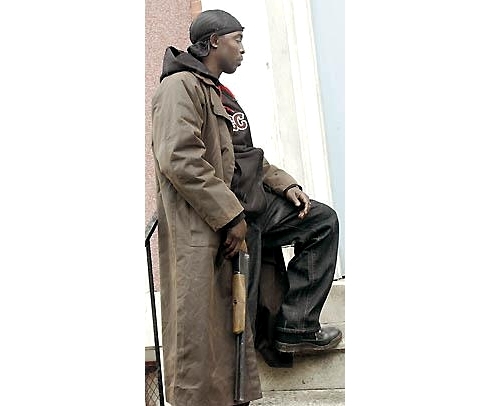 Marlo Stanfield also turns Baltimore apart looking for him, but he failed too. One of the neat things about Omar is how he just has the feeling of a character in the wild west. He lives by the gun, and in the end, he died by the gun. While he was able to escape the system for a while, it inevitably comes back to bite him. It is like a pirate archetype, along with the cowboy archetype. One of my favorite scenes with Omar was when he was facing off with Brother Mouzone. It was something like out of a western, where the two are facing one-another, on an abadoned road, both ready to die. We all want to do what Omar does. We all want to step out of the realms of what is acceptable, and to live the life of an outlaw. We all want to get out of what we know is a rigged game, and to fight the good fight. We all want to abandon the rules and live life for ourselves. But as his character shows us, this road is never a path that happiness is found on. I dig Omar because he is the definition of a rebel. All of the norms of society are abandoned by him, and he does whatever he wants. It is very cool to watch, and because you come to like this character so much, he end is very tragic. Hope you don’t mind I’m using you as a source too for a paper on first season of The Wire. I love Omar, he’s definitely the best character in the Wire (the greatest TV show I’ve ever seen). Its incredible how the writers took what could have been a standard thief and turned him into a Wild West outlaw mixed with a chivalry knight. He has his own guiding code, which you can’t help but be sympathetic with.